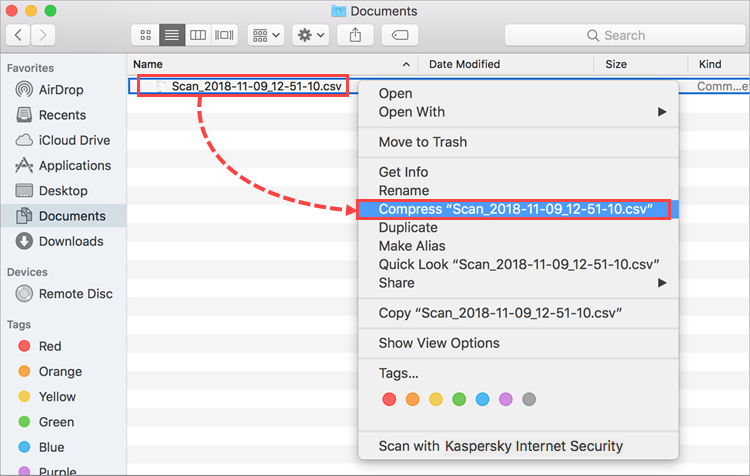 Kaspersky Lab technical support engineers may ask for a report of a scan or database update task in order to resolve an update or scan issue in your Kaspersky Internet Security for Mac. Click the application icon in the top right corner of the screen and select Preferences. Go to the Information tab and select Log non-critical events checkbox. Run a scan or database update. Wait until the process completes or ends with an error. In the top right corner of the screen, click Protection → Reports. Go to the Update or Scan section and select the most recent task. Click . 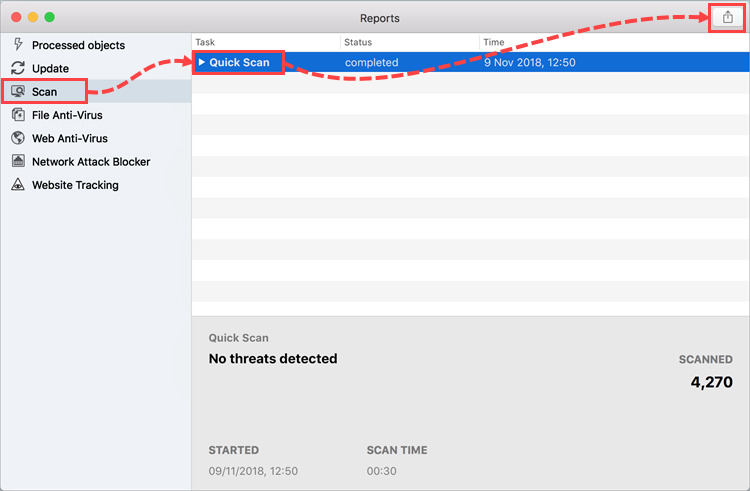 Enter a unique name for the report and select a folder to save it in. Click Save. 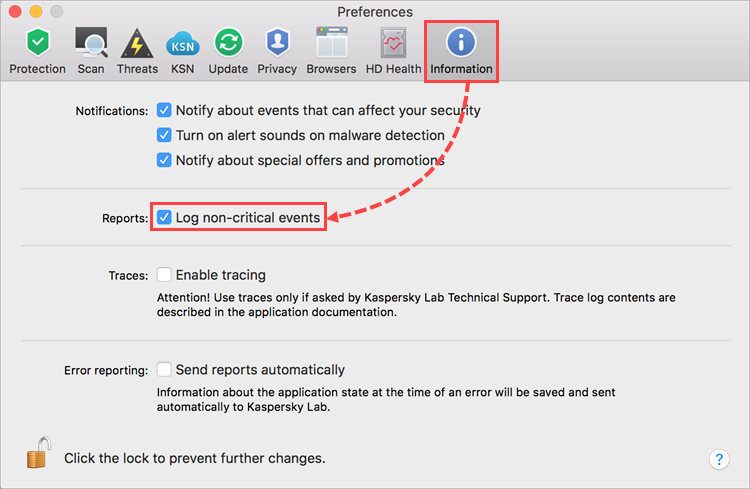 Return to the application preferences and clear the Log non-critical events checkbox in the Information tab. The report has been created. 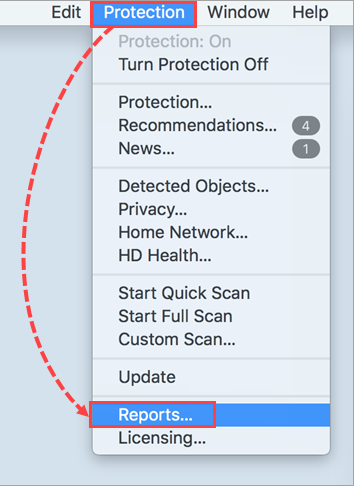 Select Compress from the report file’s shortcut menu. 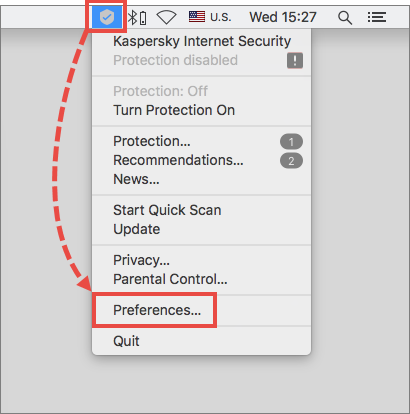 Send a request to Kaspersky Lab Technical Support via My Kaspersky. Attach an archive with the report to your request. The report has been sent. Wait for a response from Kaspersky Lab technical support.